Discoveries in sites revealing the ancient cultures of the Near East and Greece have contributed much to a better understanding of the Old Testament. As new finds constantly add new information, this precious evidence has to be (re)evaluated time and again. 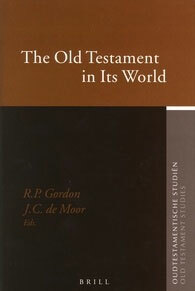 In this volume members of the Society for Old Testament Study in the United Kingdom and Ireland as well as members of the `Oudtestamentisch Werkgezelschap’ in the Netherlands and Belgium join forces to undertake this demanding task. Egyptian, Sumerian, Babylonian, Assyrian, Neo-Hittite, Aramaic and Greek texts are inspected in order to establish whether or not they are relevant to the understanding of the Hebrew Bible.